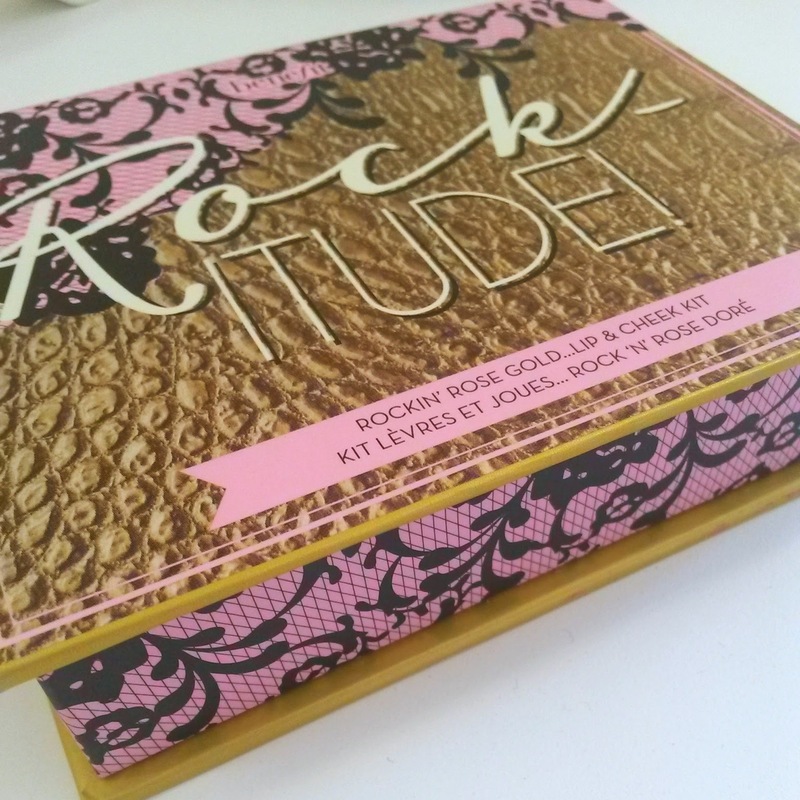 I was made up to receive the Rock-itude gift set from my lovely friend (thank you Nic!) because it contains items that I absolutely adore, and some I haven't used in years, ...not to mention Benefits oldest & all time best selling cosmetic - can you guess which one? 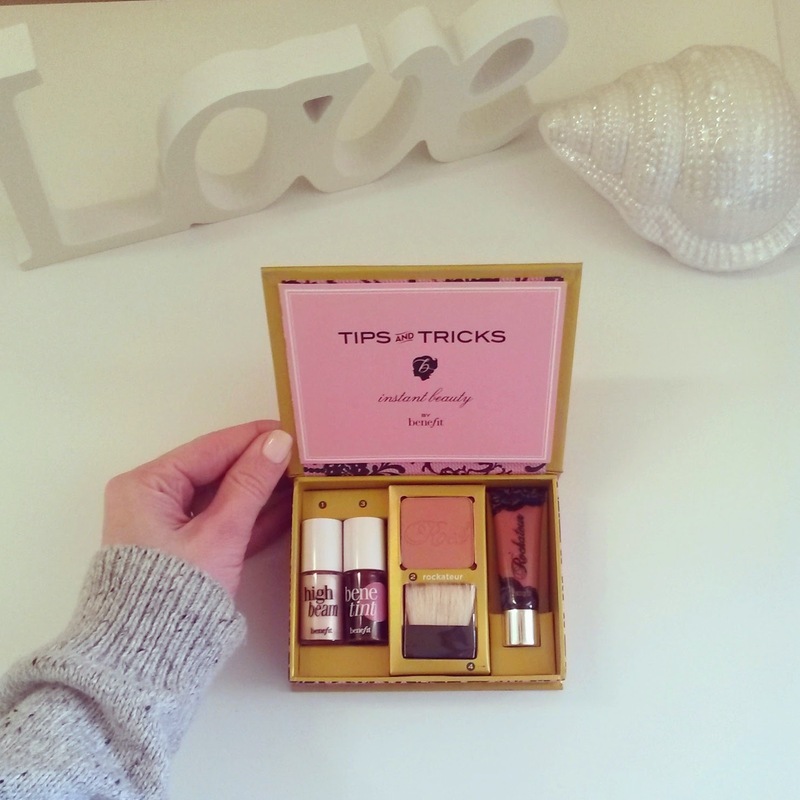 The items are all travel size, but all last aaaages and therefore I feel this set is well worth the price tag ...especially if you want to try out the small versions before committing to buying the full priced, full sized ones. 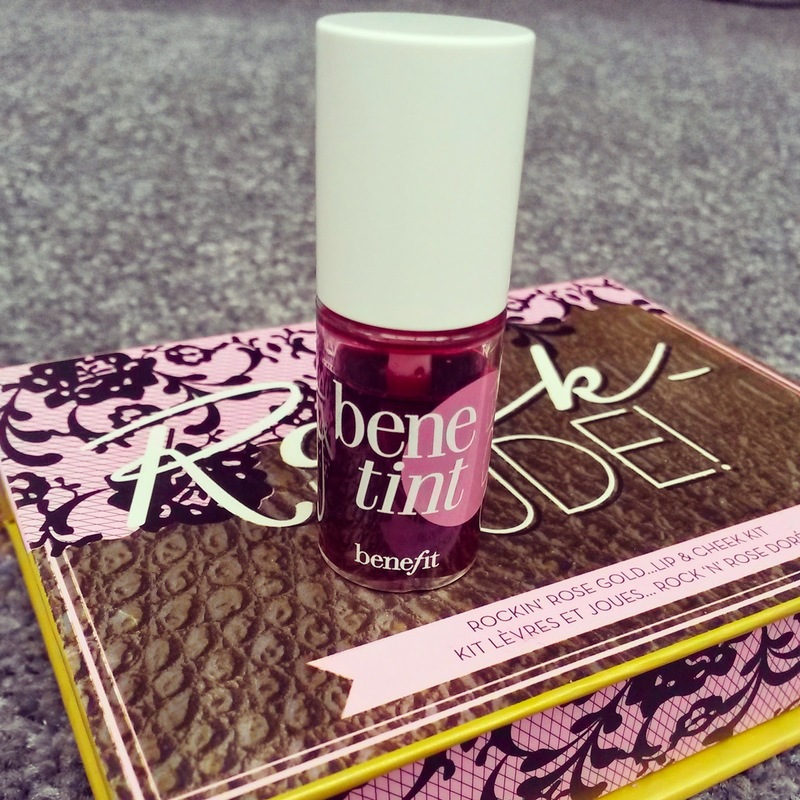 This was Benefits first ever makeup product (called rose tint originally). It's their best selling item of all time and I had forgotten just how good it is. 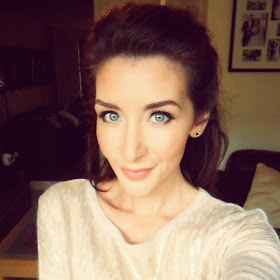 For a quick and easy girly look this is perfect. It's not as scary as it first appears; it blends really easily (I use my fingers) leaving a rose hue on the skin. 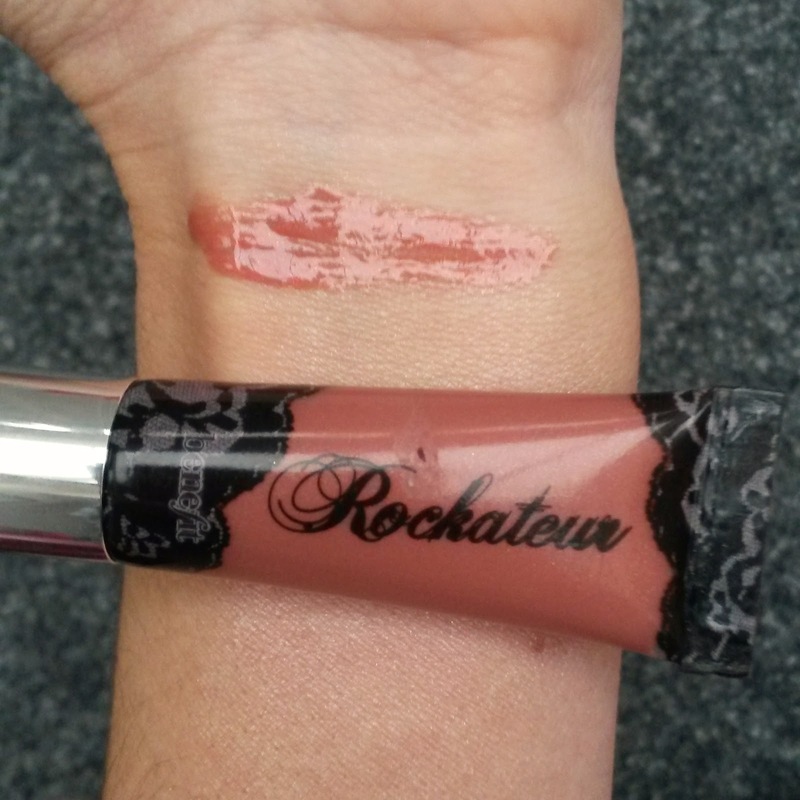 I also love this for lips, the colour is soft & extremely discreet, and it smells gorgeous. 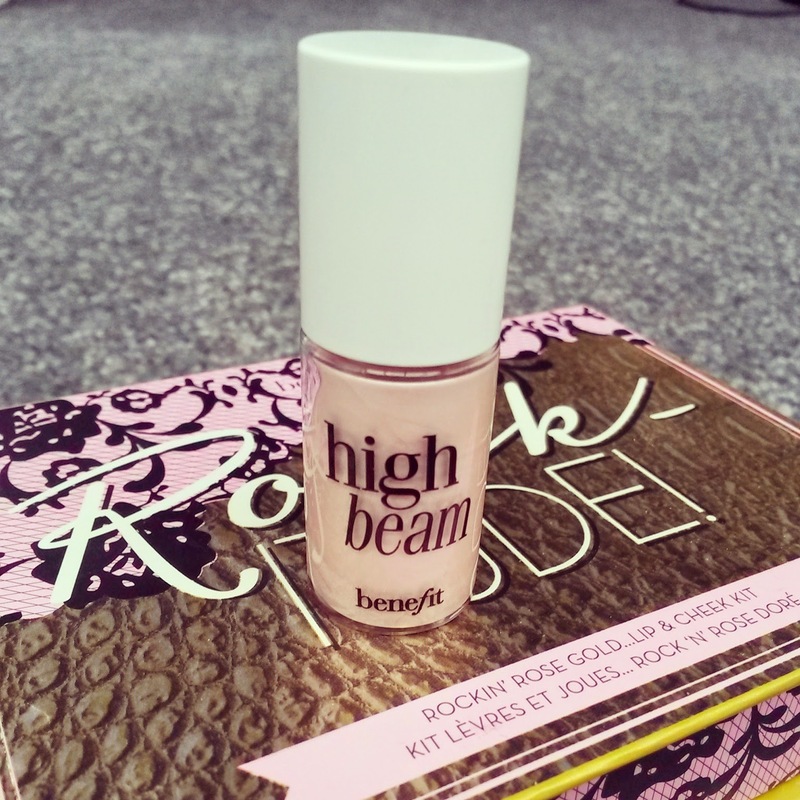 Believe it or not, I'd never actually tried Highbeam before, which I guess is a little shocking seeing as I love highlighters so much. This is a very light pink luminous liquid. 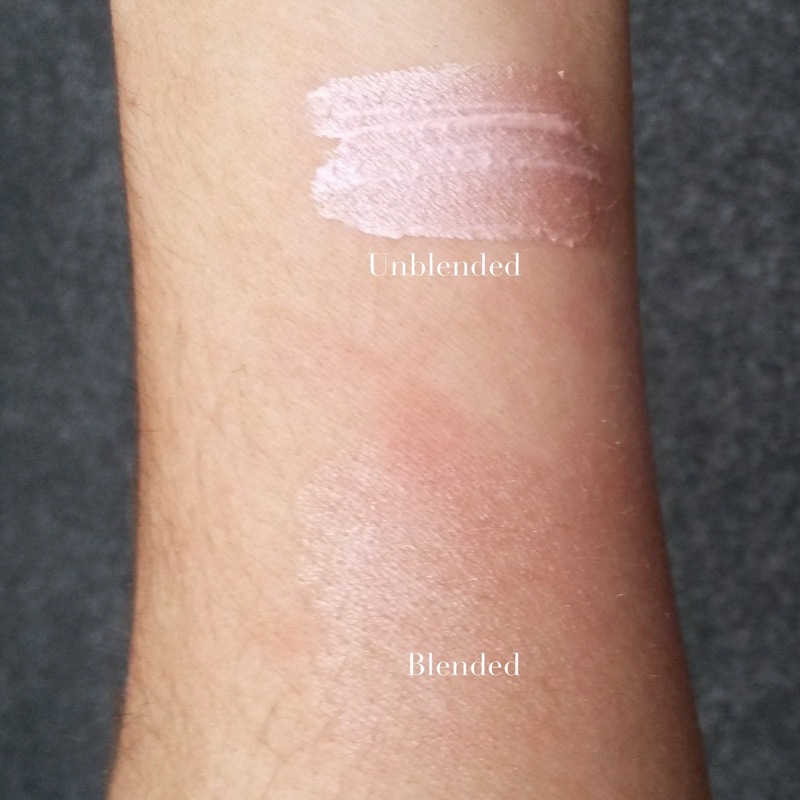 If I'm honest I prefer Girl Meets Pearl as it's more sheer than Highbeam, but never the less it's still a great product. I used it on New Years Eve all over my cheeks (before I applied foundation) and then down my nose and on my cupids bow (after foundation). I'm excited to try mixing it with moisturiser as recommended on the Benefit website, so for versatility this item has it! 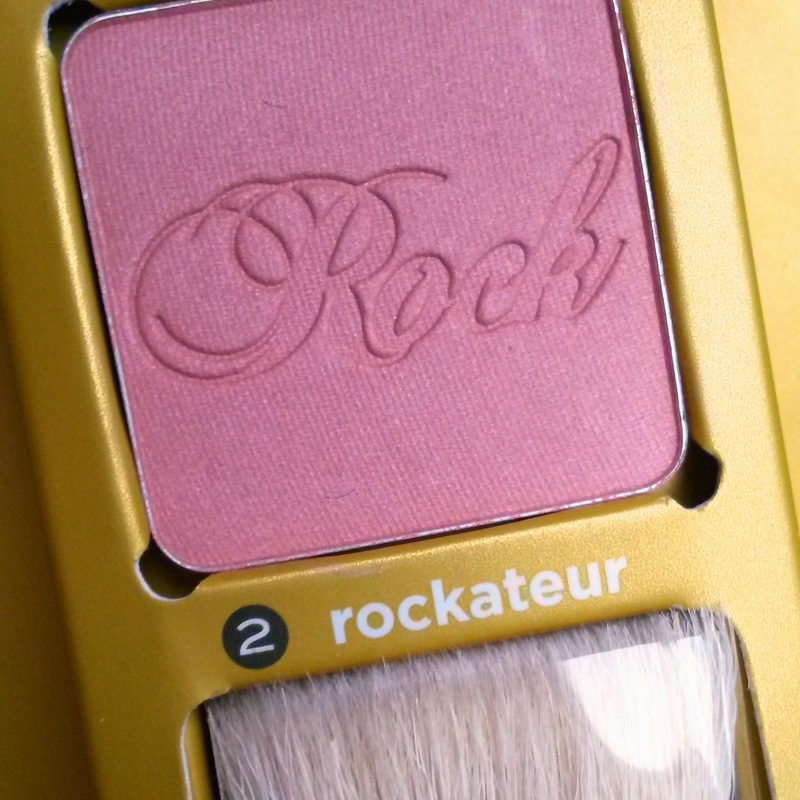 This was probably my most used makeup item of 2014. Something I never would have picked if it wasn't for the Benefit lady in Boots, insisting that I give it a go. Before this, I always preferred candy pink blushers (which I still love) but this rose gold blush is so much more natural. In my opinion it's simply stunning! 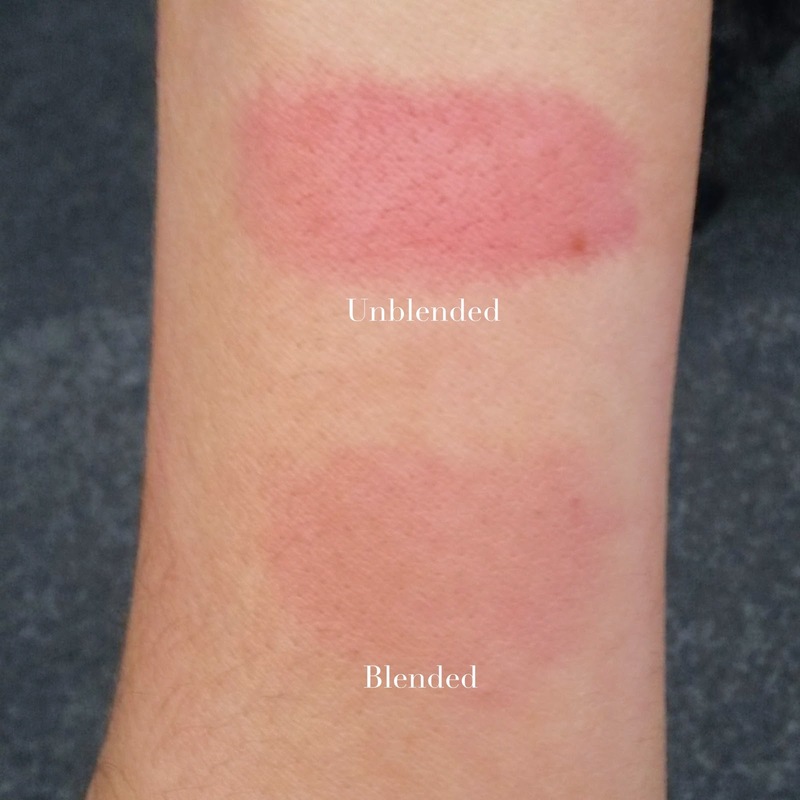 It's also really long lasting, blends easily and smells delicious! This is one of the few makeup items that I've re-purchased a couple of times and will continue to do so. I can be picky with lipgloss, if it helps you understand my boundaries - I'm not a fan of Clinique Juicy Tubes. 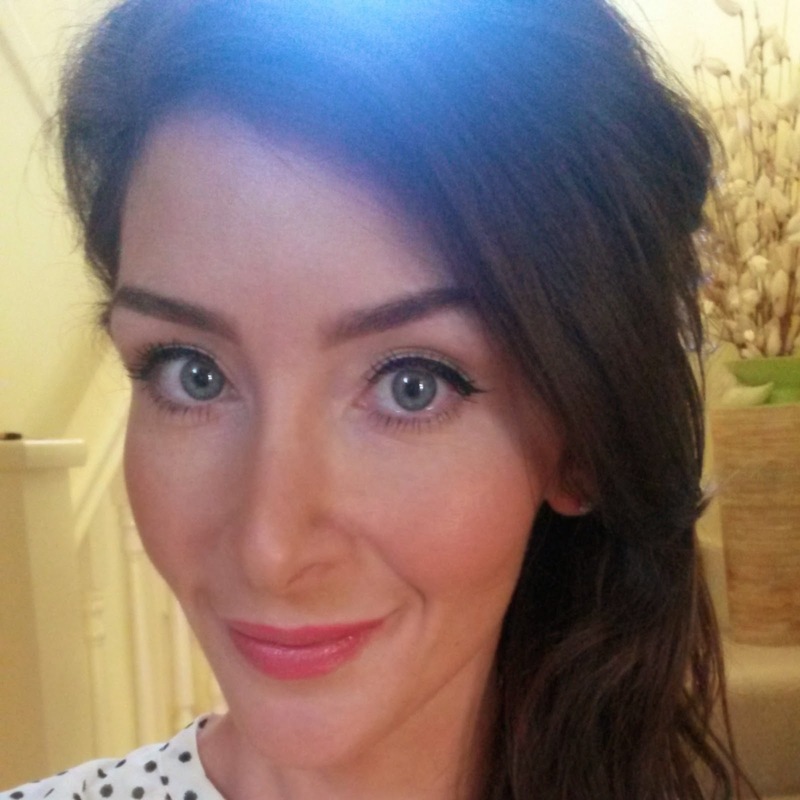 Having long hair reeeeally puts me off the sticky factor! 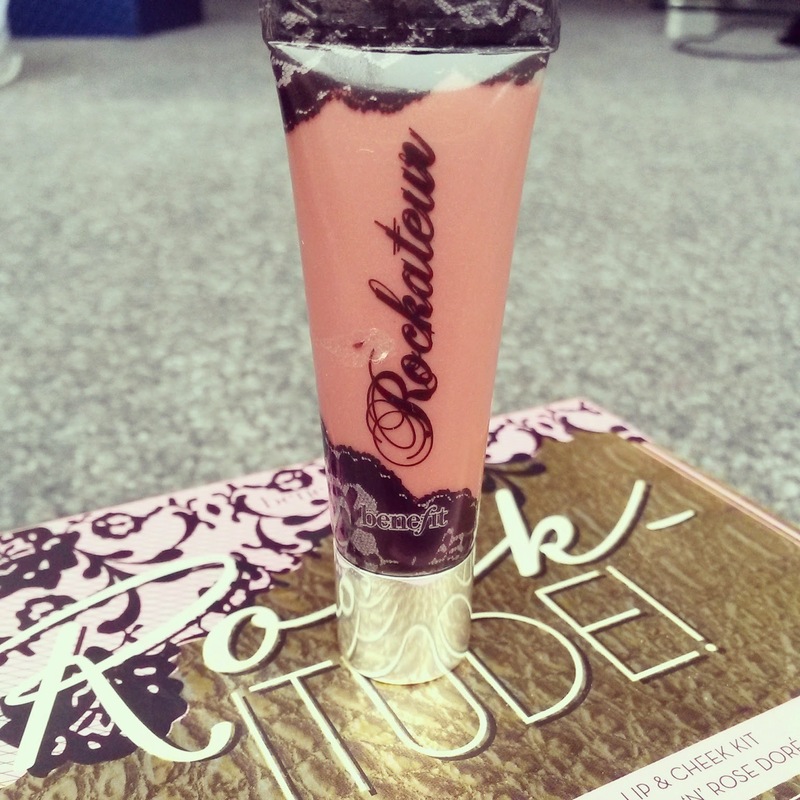 But as far as glosses go, this one is lovely. Again, not a shade I'd instinctively go for, but it's one that is definitely growing on me and looks fantastic with the matching blusher. 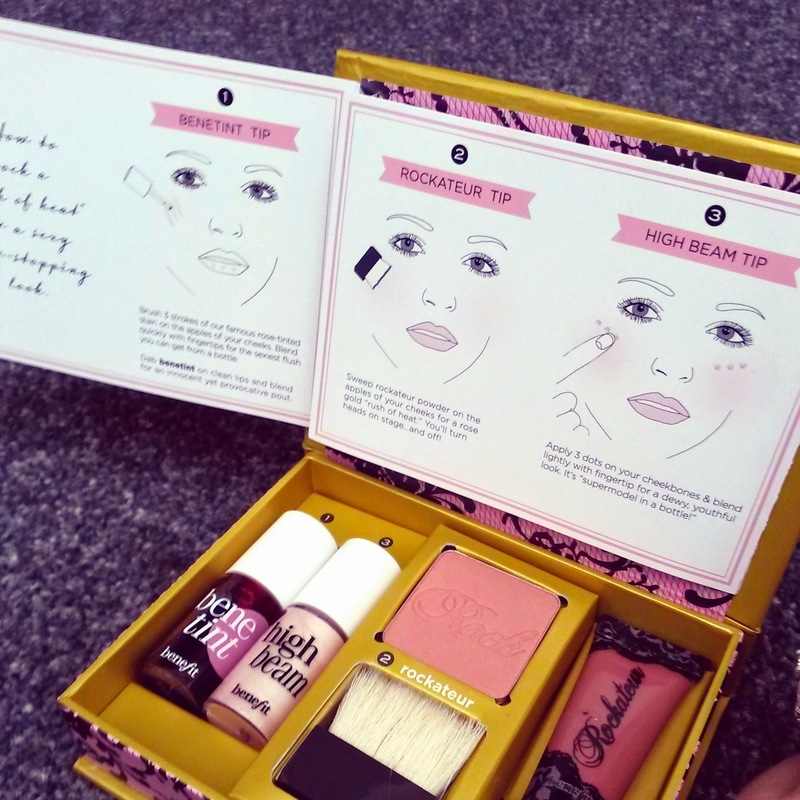 If you like Benefit products, you will love this! All items compliment one another and as I mentioned, they are long lasting and great if you travel, or want to try before forking out the full price for the individual items.